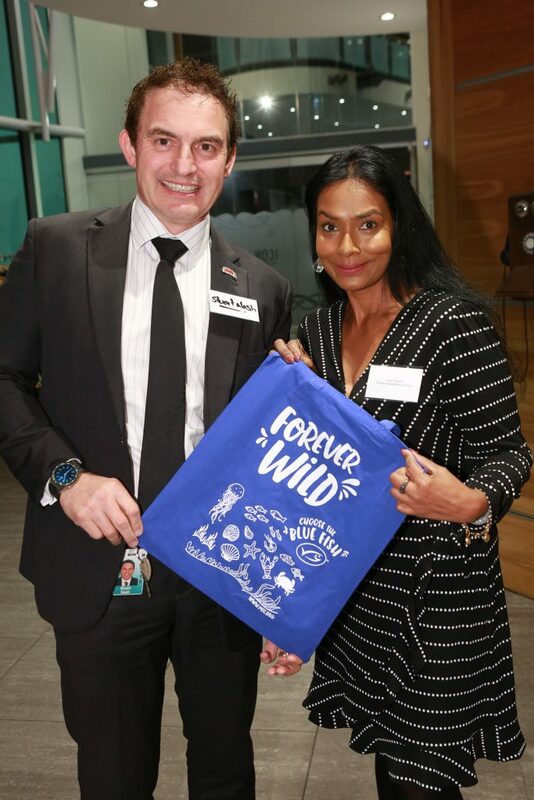 With half of New Zealand’s total seafood production certified to the Marine Stewardship Council’s (MSC) sustainability standard and 70 percent of the deep water catch certified, New Zealand’s Deepwater Group (DWG) welcomes yesterday’s inaugural Sustainable Seafood Day, which marked the 20th anniversary of MSC’s establishment. Opening last night’s event, Fisheries Minister Stuart Nash highlighted MSC’s validation of New Zealand’s reputation for well-managed, sustainable fisheries. “MSC’s vision of the world’s oceans teeming with life, and seafood supplies safeguarded for this and future generations is relevant to and aligns with expectations of New Zealanders and is what we aim to deliver as Fisheries New Zealand,” said Nash. 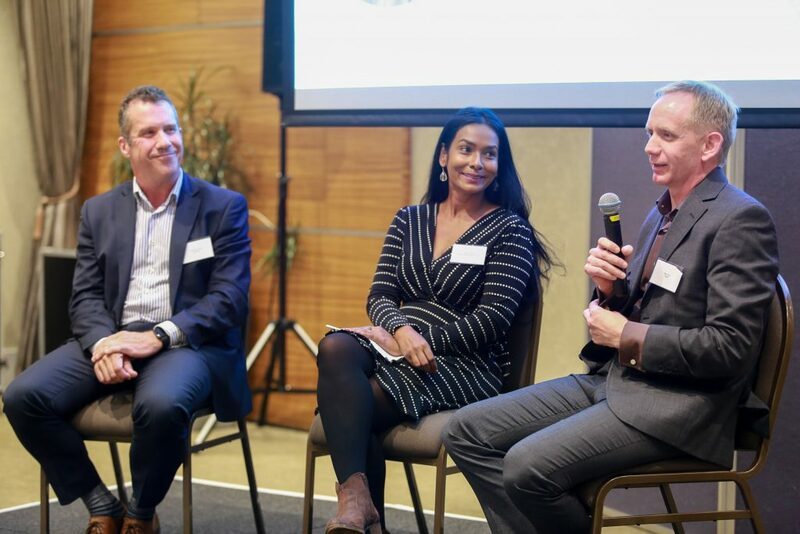 Panellists Dr Matt Dunn Principal Scientist at NIWA, Volker Kuntzsch CEO of Sanford and Anne Gabriel Oceania Program Director at MSC offered insights on what sustainable seafood meant to them and how MSC contributes to this. “MSC facilitates a conversation among the different stakeholders, providing transparency and disclosure” said Gabriel. Dr Dunn described how MSC is solidly underpinned by science, separating facts from opinions. Kuntzsch, who was with Unilever when they established MSC with WWF applauded the long and successful journey of sustainable fisheries in New Zealand, noting he was involved in 2001 when hoki was first certified and it was our reputation that attracted him to work in the New Zealand seafood industry. To have a robust management system – the fishery must comply with relevant laws and have a management system that responds to changing circumstances. New Zealand has 15 fisheries comprised of eight species, which annually harvest around 230,000 tonnes, certified to MSC’s standard. New Zealand MSC certified species are: hoki, hake, ling, southern blue whiting, albacore tuna, orange roughy, skipjack tuna, and Ross Sea toothfish. George Clement, CEO Deepwater Group, said, “The Government and quota owners have demonstrated international leadership and commitment to ensure the performance of our deep water fisheries meet the world’s highest standards for sustainability. Only 12 percent of the global fisheries production is MSC certified. We celebrate MSC’s independent assessment that 70 percent of New Zealand’s deep water production is certified as sustainable. “MSC Certification provides a tangible and credible way for consumers to purchase sustainable seafood." MSC Certification is for a five-year period, during which annual audits confirm that the fishery’s performance remains fully compliant with MSC standards. After five years each fishery undergoes a new full reassessment in order to remain certified. This month, the draft reports on the re-assessments of the hake, hoki, ling and southern blue whiting fisheries have been released for public comment. The assessors have concluded that all of these fisheries should be re-certified without remedial conditions. This places these fisheries in the top 4 percent of the best performing fisheries in the world.